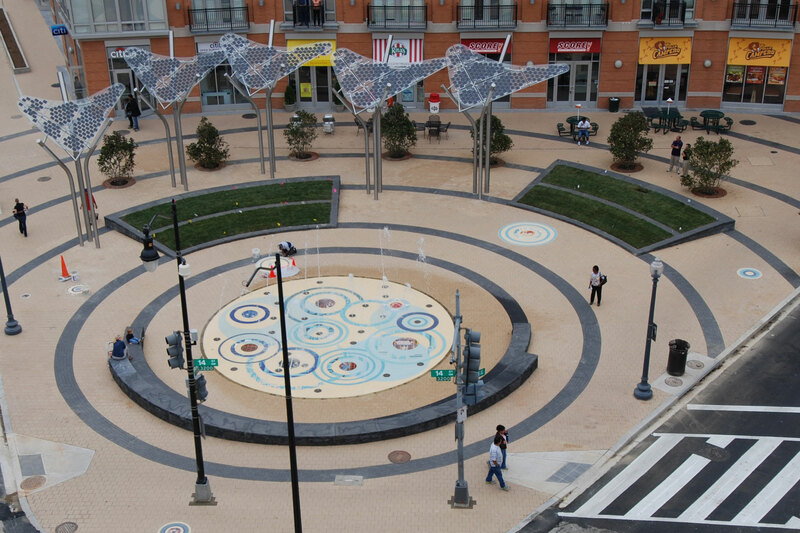 Columbia Heights Plaza is home to a unique mosaic fountain deck and interactive water feature. 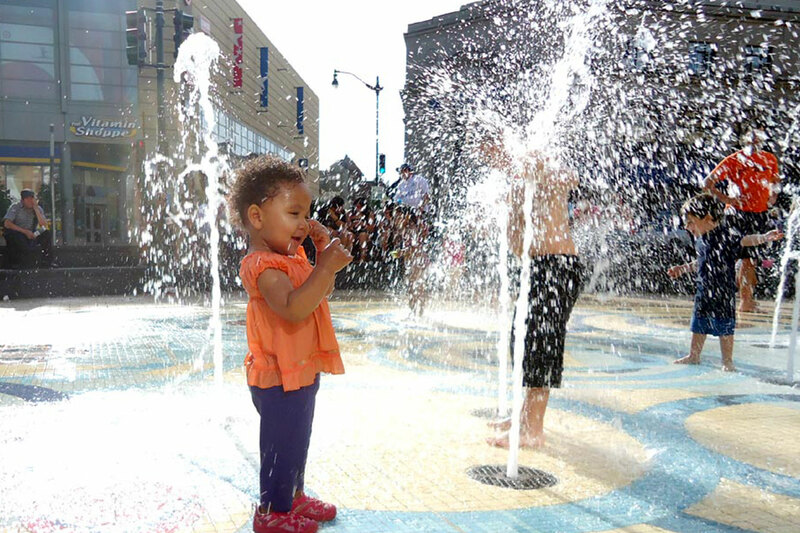 The Columbia Heights Plaza interactive fountain has both foam pop jet nozzles and mist nozzles to create a multi-sensory experience for the visitors. 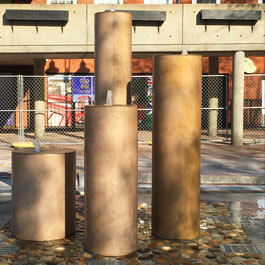 The municipal fountain design was created to celebrate the DC neighborhood's colorful and vibrant community vibe. 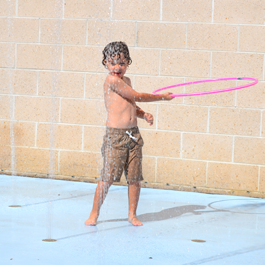 The interactive fountain is a favorite spot for families and children to enjoy during the warm months. Columbia Heights Plaza is located in the heart of Washington D.C.’s commercial district. 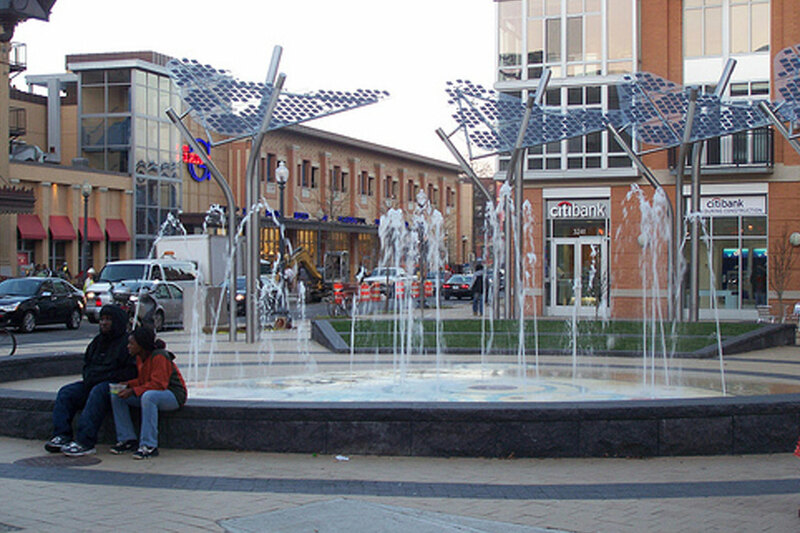 The “Resonance” fountain was designed as a “cultural kaleidoscope,” incorporating elements of the community to create a unique water feature that represents the DC neighborhood. 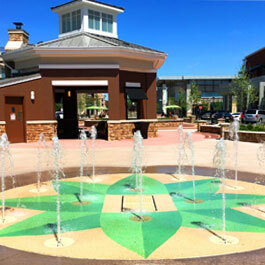 Columbia Heights’ municipality wanted to celebrate their unique history by creating a fountain around a mosaic tile design. 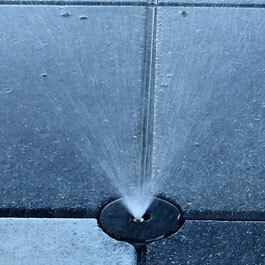 The nozzles in the fountain have been designed to interface with the colorful mosaic fountain deck. 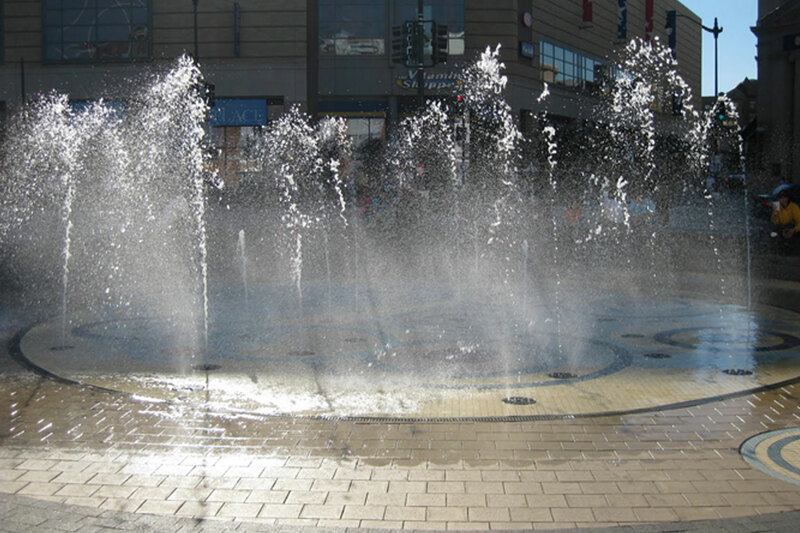 The foam pop jet nozzles that create the main water effect for the fountain were also accompanied by mist nozzle jets, and have the ability to ramp up or down as well as be actuated individually. Delta Fountains manufactured and supplied the equipment for the fountain, the UV serialization system, and the lighting.